The objective of the Timber Marketing Department is to sell all timber cut from state forests and other harvested ligneous forest produce on the best possible terms. The competence of the Timber Marketing Department includes all operations relating to the management of business relations and the meeting of customers’ needs, and that cover the timber supply chain from the moment a truck load arrives at a buyer’s warehouse until the transfer of the ownership of the goods to the customer. Marketing specialists operate on a customer basis as vendors of the product assortments assigned to them, and marketing assistants on a customer basis, processing the data of product assortments received. The function of the Timber Measurement Division is to organise regular and systematic audit measurements of the timber and other ligneous forest produce sold. 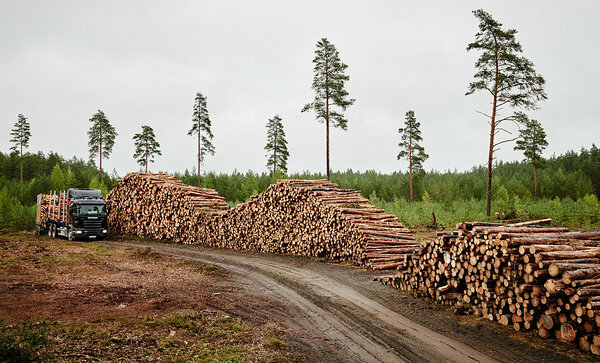 Its staff members act as internal auditors, measuring the timber being transferred from RMK’s possession to the customers’ possession, mainly on the way to the customers’ premises while the timber has been loaded on trucks and, to a lesser extent, at interim storage sites, ports and terminals.